We started rough. My husband was a Windows Phone, Windows, and Outlook guy. I was an Android, Mac/Chrome OS, and Gmail gal. I won't bore you with how many times I just had fun poking at Microsoft to aggravate him - he's a developer and IT manager, so Windows is pretty much his life - but he knew that Windows Phone wasn't going anywhere fast, so he moved to Android soon enough and with that came a switch to a few Google services. Planning a wedding and honeymoon, buying and furnishing and decorating an apartment, and staying sane while doing everything at the same time wouldn't have been possible for us were it not for Google Calendar, Keep, Drive, and Photos, four services that quickly became staples in our everyday lives. 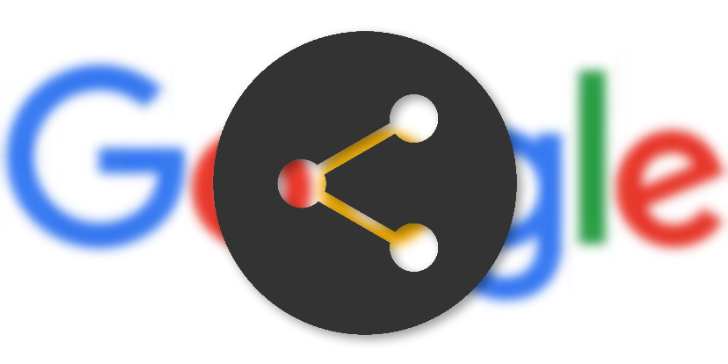 However, we hit a wall with many of Google's other entities and it's disconcerting to see how much collaboration a few Google services allow compared to how closed off some others can be. Despite some rough edges, Google Calendar, Keep, Drive, and Photos are some of Google's most friendly services when it comes to collaboration between one or multiple users. We continue to rely on them and thoroughly enjoy using them every day. 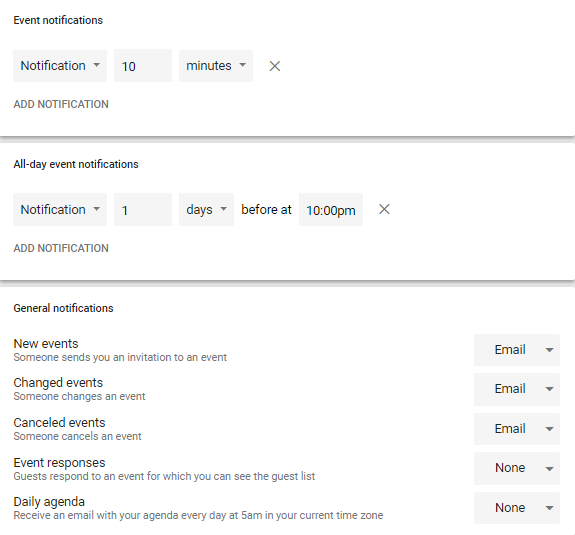 Setting up a shared calendar is easy and everyone can add, delete, and modify events. We're still a two-person family now, but having a central place where we can schedule events, appointments, and tasks, makes everyday planning easy and helps us remember some duties that our fast-paced brains would otherwise forget. I can only imagine how useful this would be for a larger family. The only annoyance is the lack of a simple notification switch that would tell you when someone else made a change to a shared calendar. You can get emails though, so it's a start. You can get notified for changes to a shared calendar, but only via email. Sharing albums and libraries on Google Photos is another simple and useful feature. We don't go around taking photos of everything and everyone, but we do document potential purchases for the house, snap a few pics on trips and major events, chronicle my culinary achievements, along with the odd photo here and there. Having access to these pics regardless of who took them is time-saving and handy when we need to recall or check something and the other person isn't around. 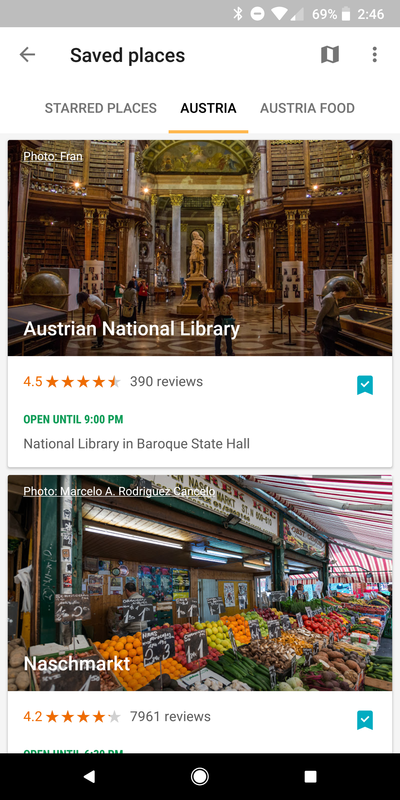 There are still a few sharing features that I'd love to see Google Photos get, like library sharing with multiple users not just one partner, but overall it does the job very well. 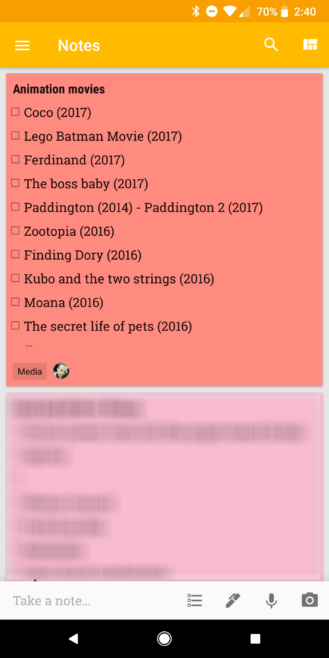 Having shared notes in Keep is just as useful, if not more. We have shopping lists plus lists for every small and major pending thing our apartment needs, movies we plan on watching, and places we want to travel to. We also have a note with every dimension in our house for quick consultation when we want to buy something, and a note with every product number for appliances we've bought so we can easily check online or with the supplier when there's an issue. Keep also lets me have a few shared notes with my assistant where we collaborate on pharmacy-related items. It isn't just handy, it's easily the simplest and fastest way to manage shared information between people. I just wish it would live update and have an option to carry archival state between users, but that's just nit-picking. That little round face? It means this list is being shared. Then there's Google Drive. I couldn't tell you how many times we thanked our lucky stars for Sheets when we were apartment hunting, planning the wedding, or budgeting everything. There's something about seeing everything clearly tabled that takes the guesswork out of decision-making. For months, we would spend hours with Sheets open, glimpsing every now and then to see the other fill info about this new apartment they were checking or that new caterer they just contacted. That is not to mention Drive's ability to share files and PDFs, Docs, and more. It's one of Google's most collaboration-friendly services and I have yet to think of one feature I want that isn't there yet. Once you wander outside of the four services mentioned above, sharing with Google becomes very hit-and-miss. The features are more limited, the seamlessness is nearly gone, and proper collaboration takes a backseat to one-way sending. Google Maps has a very nice My Maps service but to the deepest chagrin of my husband, it's not suited for mobile. On the desktop, you can make beautiful maps for a place, choose any icon and color you want, change the name of a place and add a note to it, and collaborate with other users on a map. On mobile, the integration is iffy at best. You can't do any of this from the Maps app, you have to use the mobile site which flip-flops around when the keyboard opens to edit a place's name or add a note. Then when viewing these, the Maps app just lets you see them as a layer that you often have to re-enable. 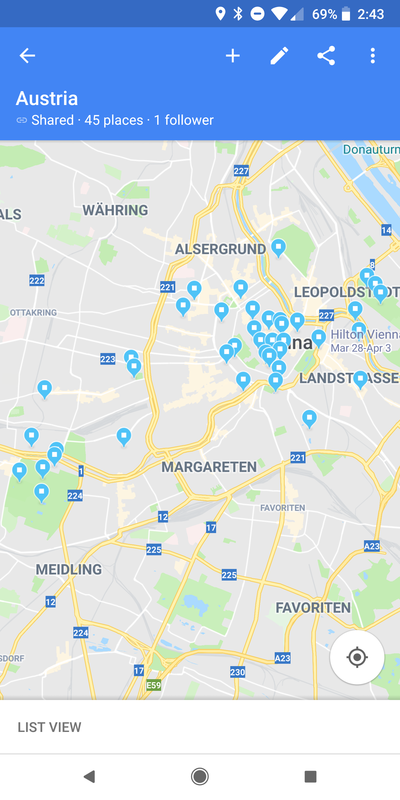 After much deliberation, we (read: I) decided that it's not worth it, and we started using Google Maps' new Lists instead. 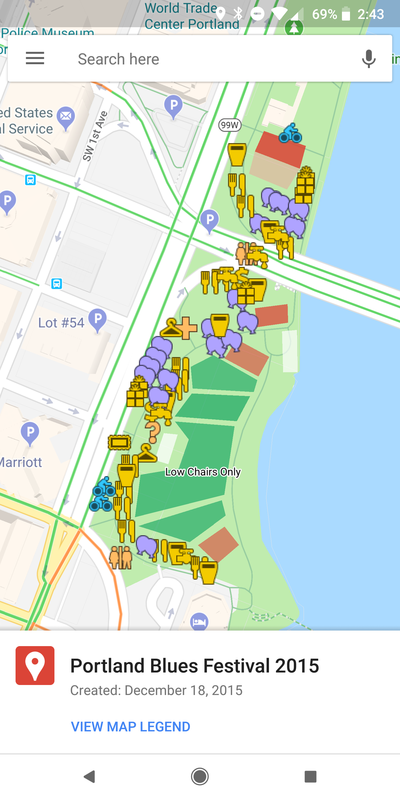 They're one-sided, they use a standard blue icon for all places that's tough to spot when there are attractions nearby, and for some reason my shared lists don't display all items on my husband's computer (they do on his phone). But they're much easier to access on-the-go so we use them, but reluctantly. 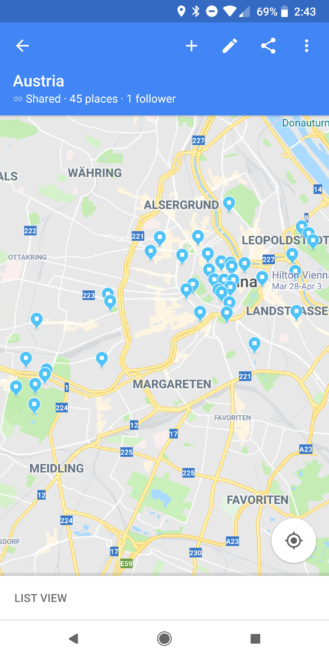 Shared lists (left) vs collaborative maps (right). One is easy to use, the other is much more useful. 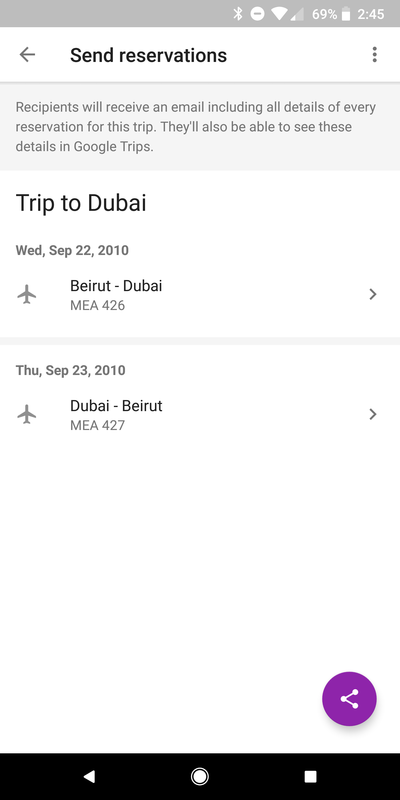 Google Trips only recently started adding some sharing elements. Previously, you had to forward the original email to the other person in order to make a reservation pop up in their Trips app, now you can directly share reservations with someone. Shared Maps Lists also show up in the app, which is a bonus and another reason we decided to use them. But it stops there. You can't collaborate on a trip and add stops, bookmarks, and reservations to one common trip plan. It's very inconvenient, but given the newness of Trips and how relatively fast and well it's evolved, I wouldn't be surprised to see collaboration properly implemented in the future. Google Trips can share reservations and display shared Maps lists. And finally, we have the Play Store and its purchases. Look, we live in Lebanon and have Lebanese accounts so we don't get any of the fancy Family Sharing features that some countries have. It's very annoying knowing I have hundreds of apps, games, and books in my library that I'm not using but some of which my husband might want, and not being able to easily transfer or share these with him. I do recognize, however, that sharing purchases is possible for some countries, so this only goes in my "more or less" list. And then there were two. I'll pause a few seconds to look at the sky in indignation and anger. I don't understand it. Honestly, I can not comprehend how sharing a folder of Chrome bookmarks is still not a thing. For couples and families, for friends with similar interests, for students doing a research project, for any small community, sharing a folder of bookmarks in Chrome is the first thing they should be able to rely on. It's the basic of all basics. Everyone spends hours everyday online browsing hundreds if not thousands of sites, and yet we have to send each other one page at a time?! Or we can export our entire bookmark history, edit the html file to keep the links we want to share, and send that. But make one change to your folder and you have to do the export again. It makes no sense. 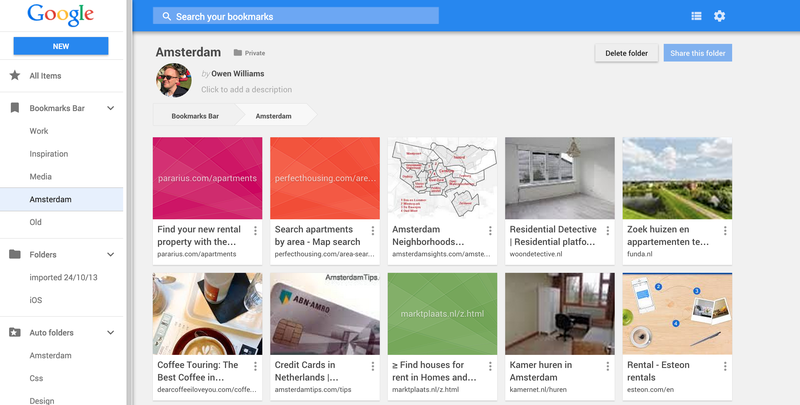 Google's Bookmark Manager extension had a public folder and a folder sharing option back in 2015, but it's nowhere to be found now. Chrome keeps on adding dozens of things in every release, making useful/powerful/fun/weird features that we never thought we needed, and yet this one relatively simple thing of letting more than one user collaborate on a shared folder of bookmarks is eluding the team? It baffles me, it really does. "Share this folder" was there. Where is it now? Image credit: The Next Web. Chrome team, just make it happen already. You may be raising your eyebrow here, but do hear me out. Everyone has their own contacts, but there is a small subset that should be common in a couple or for a family. Cleaning crew, repair persons, various service providers, medical professionals, school and kid-related contacts, and so on. You don't want to be calling your partner repeatedly while they're driving or in a meeting to get the plumber's number because a pipe burst and you don't have the contact details. You want to open your Contacts app and find that person there, regardless of who added it. Think about it like this, we used to have an address book at home where anyone could add an important phone number and everyone could access it when needed. Where is the digital equivalent of that? There are plenty of apps that are made specifically for couples and families where you can share specific contacts, but that is just tedious to use. 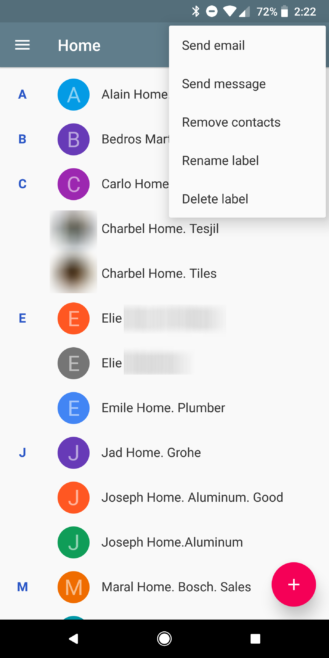 Google has a Contacts app, it has labels to apply to any contact. Make these labels shareable and open for collaboration so we don't have to manually share a contact, we just save it into one of the labels and it shows up on the other person's phone immediately. Imagine if this was the case for a condo building or small community where one person adds the new lawn-mowing company's details and everyone has them, or in a school setting where the new PTA president's number is immediately available on all parents' phones, or for a family where one partner adding the new electrician's contact info means the other one has access to it when needed without a second thought. Aaaaah, it would be glorious. This Contacts label would benefit from an easy "Share" option. But contacts are a delicate matter, so you're right in thinking that not everyone is willing to open their list up for the potential of outside tampering. Still, there are many ways this can be done properly: changes could require an approval on the recipient's end and/or be historically logged (especially for deletions and modifications). After all, if Google has a team that can make live edits visible in Docs and Sheets, I'm sure it has a few people who can figure out how to collaborate on contact labels properly. Looking back at the items in this list, it's a little disheartening to see the imbalance in importance given to collaboration by Google's different services and teams. Some, like Drive, have made it so easy to work together on something that you forget how much technical prowess is behind it, others like Chrome's bookmarks make it impossible to select and send a few pages in one go, let alone collaborate on a list of bookmarks with someone.